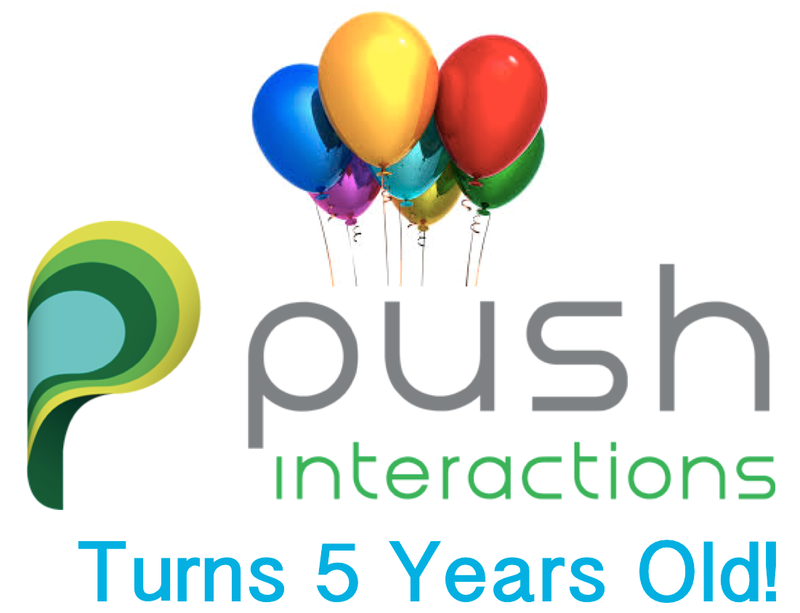 Push Interactions Celebrates 5th Birthday! We are excited to announce that today is our 5th Birthday! We were officially incorporated as a company on December 9th, 2009 – 5 years ago today. When the company was launched as CollegeMobile in 2009 we focused on developing mobile apps for higher education institutions. Once the company gained recognition in the market, we were approached by all types of companies from varying industries that wanted us to develop mobile apps for them. To date we have published over 150 apps on the various app stores and have worked with over 50 amazing clients. 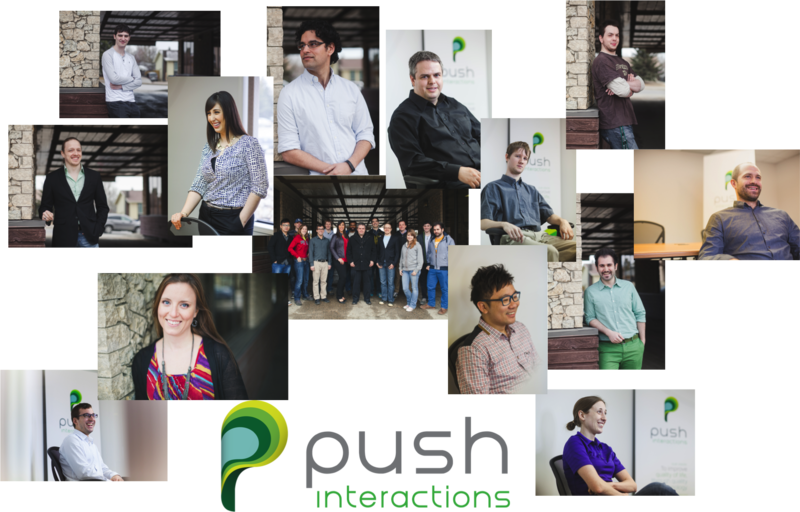 We are proud of the growth of our team and look forward to adding many talented team members in the coming years. 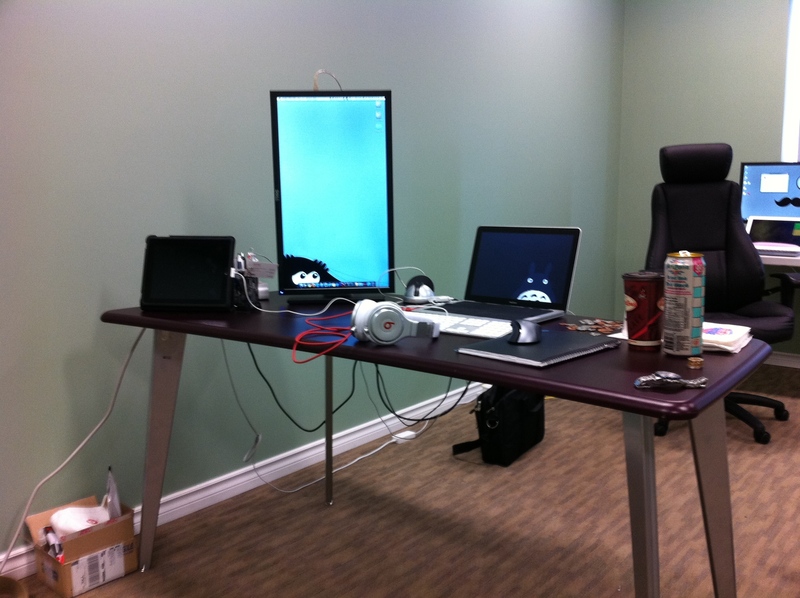 In 2009, our first office was in the basement of the University of Saskatchewan. 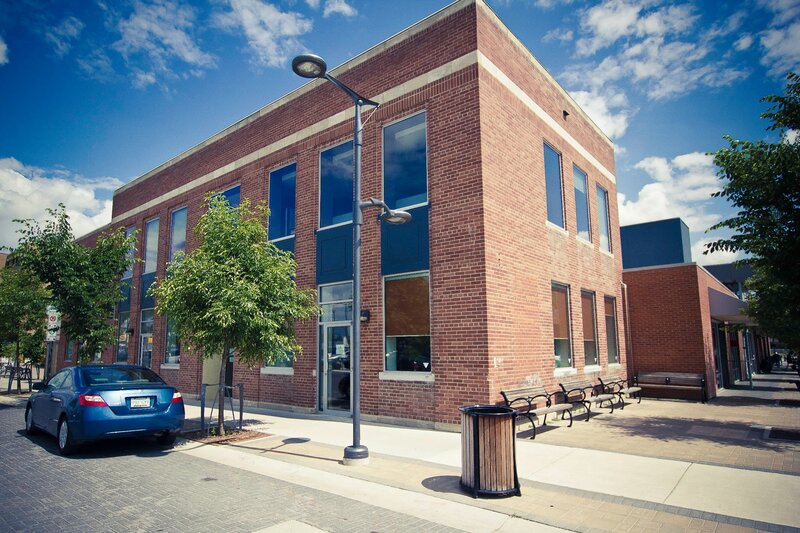 From there we moved to Ideas Inc, an incubator for new businesses. 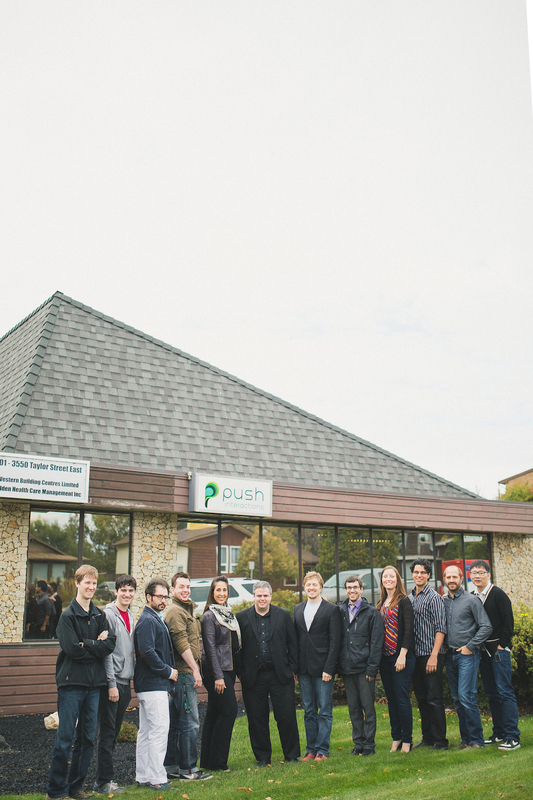 Once we graduated from Ideas Inc. we moved into our own grown up, fully functioning office. Our new office is wonderful and has all of the amenities but it doesn’t mean we have forgotten where we came from and we certainly won’t forget the wonderful times in each of our previous offices. 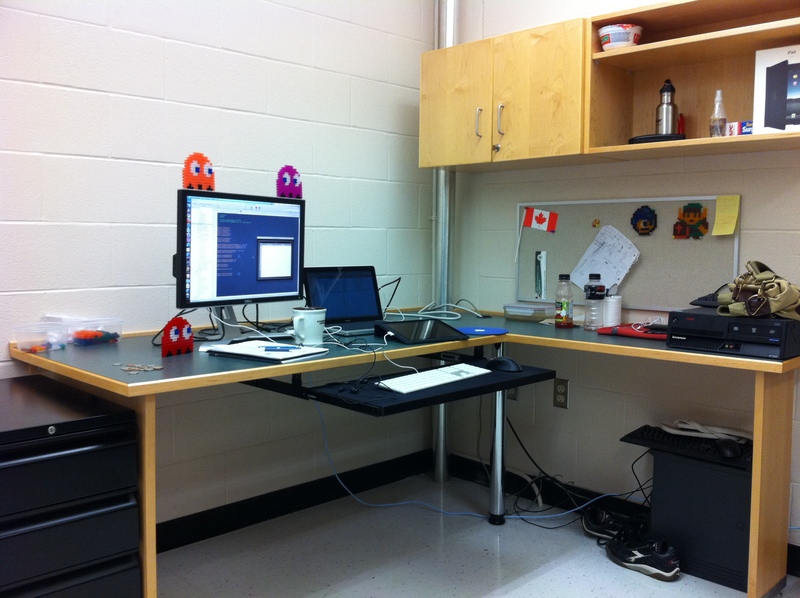 Just a couple of desks in the basement of the university was all we needed back then. Earlier this year, we announced the exciting news of our new company name and brand. 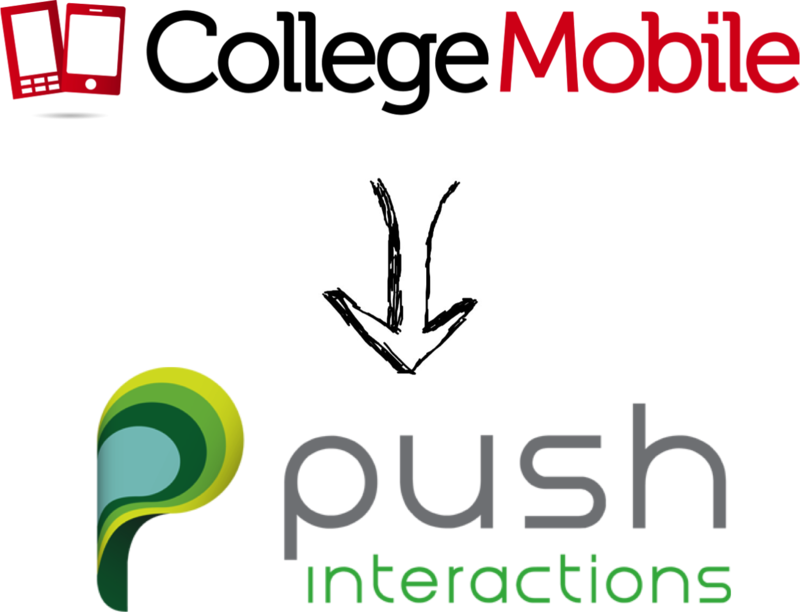 Over the course of this year, we have evolved from CollegeMobile to Push Interactions. Many people ask us why we changed our name and the answer is quite simple: we needed a name that matched our quality offering and didn’t pigeon hole us into developing one type of app (i.e. developing apps only for schools). We were starting to develop banking apps and apps for other professional industries, and we didn’t want our seemingly ‘young’ name to hold us back. When we were CollegeMobile, people were often surprised when they would meet us and realize we were a group of professionals, rather than a group of college kids. If you’re interested in how we choose our name, you can read about how we chose our new name, check out our post from earlier this year. Throughout our 5 years of business, we have always had a focus on quality. With our name change and new office, we wanted to put a further emphasis on quality and consider it in every decision that we made. 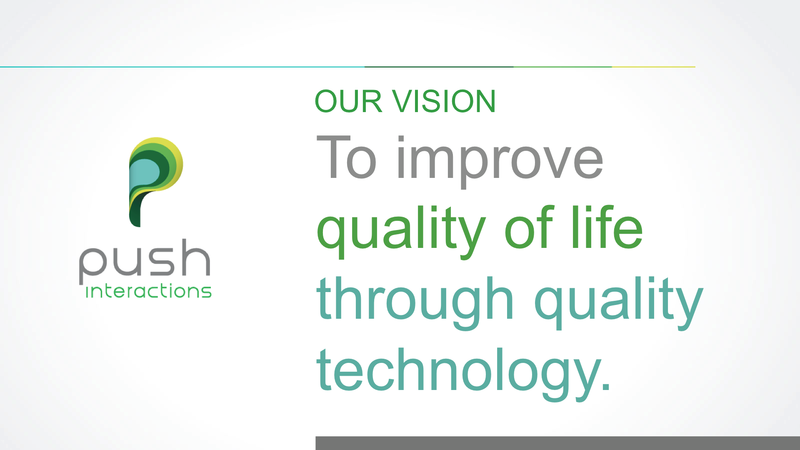 We even made it our company vision: “To improve quality of life through quality technology.” We implemented a number of company initiatives to ensure quality. Initiatives like peer code reviews, client collaboration for testing, hiring a dedicated Quality Assurance Engineer, along with a number of other checks and balances that were put in place with “quality” as the focus. This list is in no way all inclusive of the wonderful things that have happened to our company over the past 5 years, but we wanted to highlight a few special things that have helped us along our journey from who we were then to who we are today. As we go into this next chapter of our company’s life, we would like to thank all of the people that have helped to get us here today. To all of the mentors, supporters, clients and employees we would like to say a heartfelt thank you for believing in us. Here’s to the next 5 years!